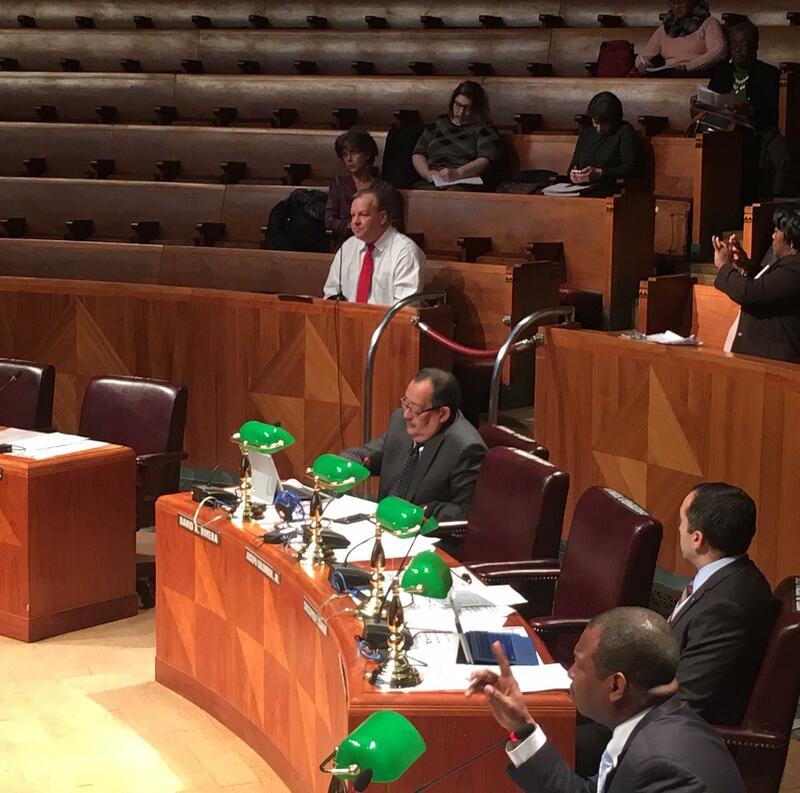 Some city lawmakers spent more than an hour, Tuesday, listening to opponents of the doubling of parking meter rates in the city of Buffalo. But the Common Council is not reversing course. "When are you going to stop getting things done on the backs of poor people - the working poor? said Rev. Virginia McIntyre. Rev. 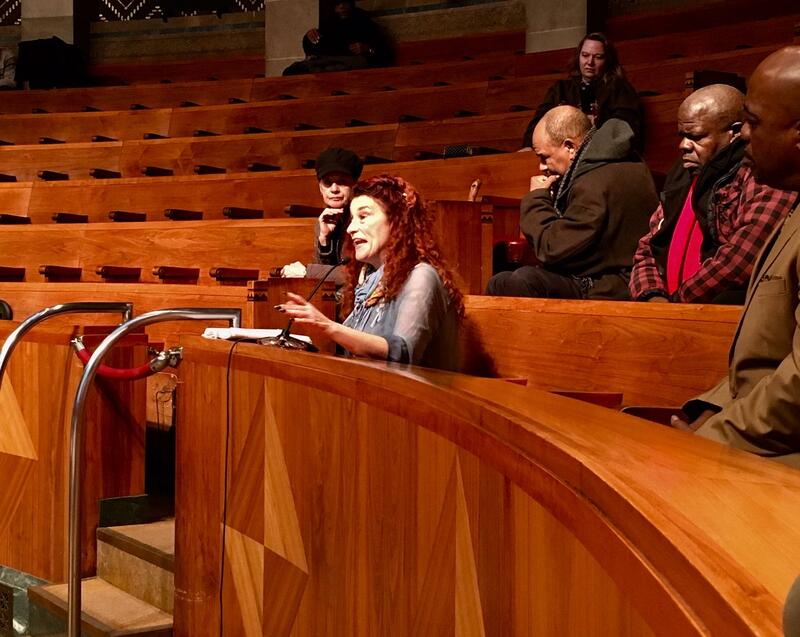 Virginia McIntyre speaking, in Council Chambers, Tuesday. McIntyre was among several community activists blasting the 100 percent increase in parking meter rates. Former lawmaker, turned community activist, Betty Jean Grant says, passing the increase without a public hearing is not democratic. Grant says an online petition opposing it has over 24,000 signatures. "You might not think that that extra dollar an hour is not hard ship. But it is. People are living from day to day and paycheck to paycheck," Grant said. Parking Commissioner Kevin Helfer says businesses complained that some people are parking at meters in front of their establishments all day long. Parking Commissioner Kevin Helfer (in the white shirt and red tie) was on hand to answer questions about the parking meter increase. "So the goal should be to have your short-term parking price reasonable to get turnover for people coming down for an hour two or three. And your long-term parking should be in parking ramps or surface lots or lots that are on the periphery. That's the logic of transportation demand management," Helfer said. Several opponents called on the council to rescind the increase. 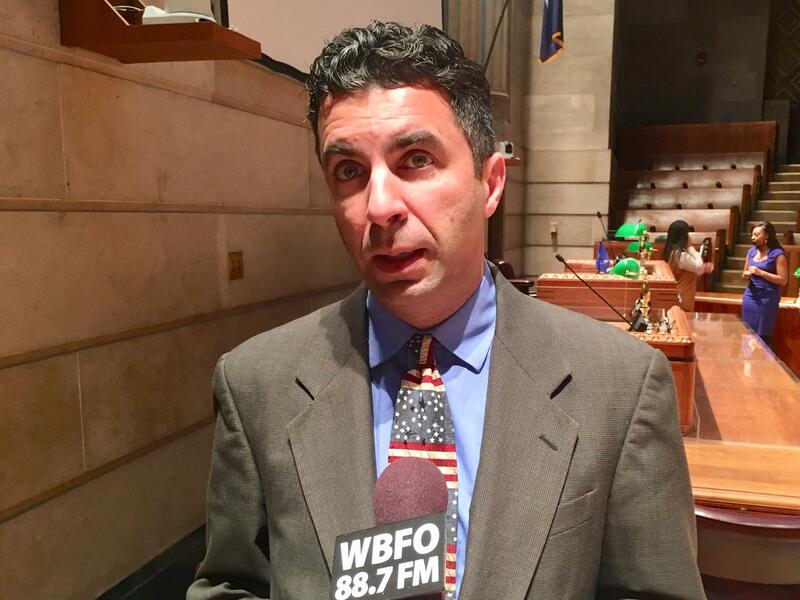 But Finance Committee Chair Rich Fontana tells WBFO News the higher rate will stand for now. "In the initial item the commissioner was looking to set the maximum at $2.00 and then have the ability to adjust as needed. So they might be looking to adjust we'll see. They put that in the original plan. But $2.00 was never set in stone. It was the maximum amount. We'll see what comes forth from the administration on that item," Fontana said.